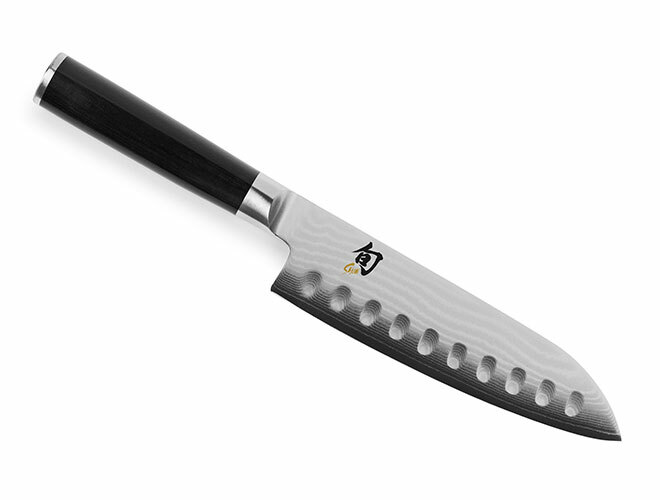 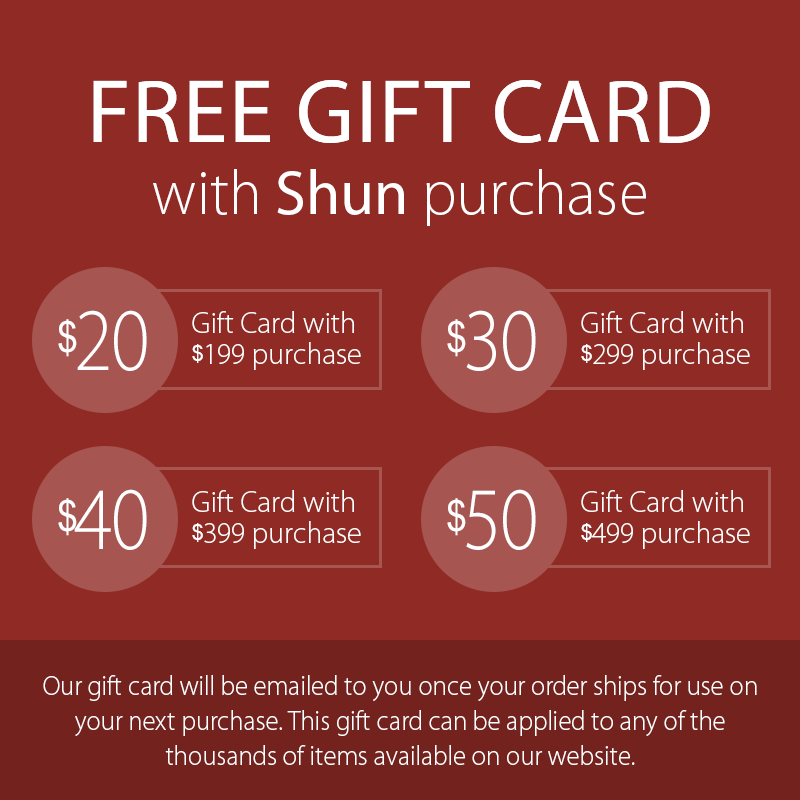 The Shun Classic Hollow Edge Santoku Knife is a Japanese all-purpose kitchen knife. 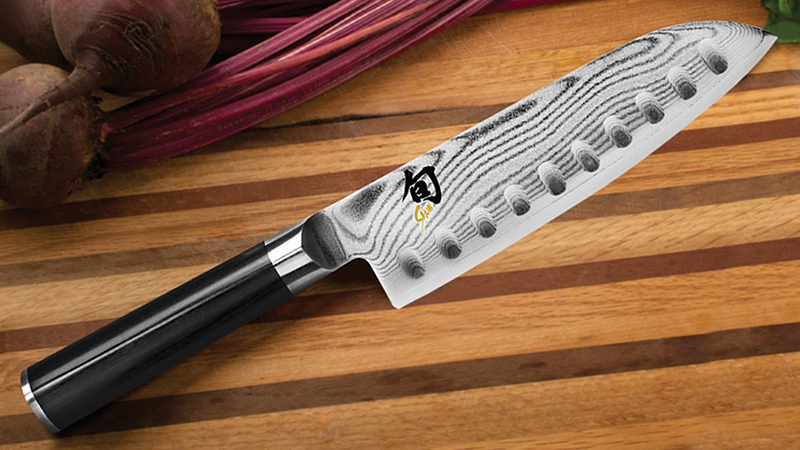 Like a chef's knife, the santoku is used for just about every cutting job in the kitchen. 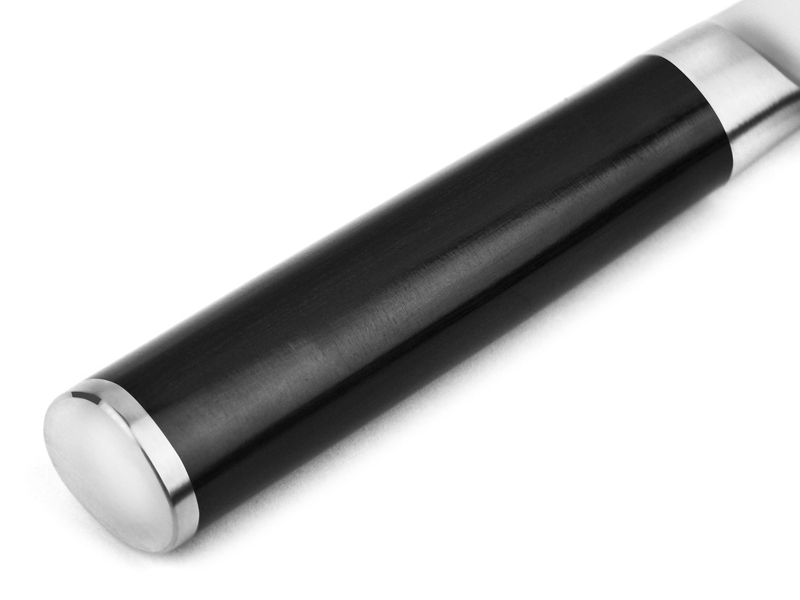 It works well with vegetables, proteins, and fruits when slicing, dicing, and chopping. 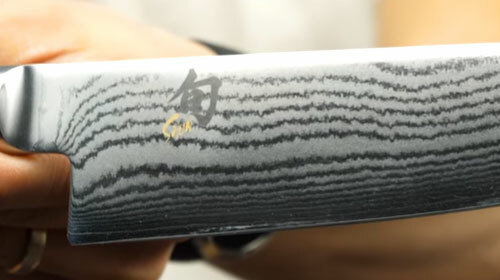 The hollow ground indentations on the blade help reduce friction so the blade glides through food more easily. 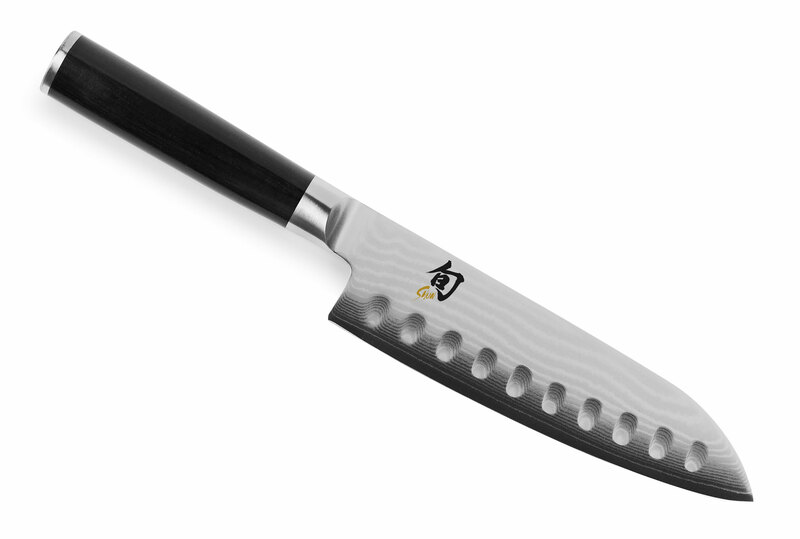 https://www.cutleryandmore.com/shun-classic/hollow-edge-santoku-knife-p15914 5914 Shun Classic 7" Hollow Edge Santoku Knife https://cdn.cutleryandmore.com/products/large/5914.jpg 149.9500 USD InStock /Cutlery/Santoku Knives The Shun Classic Hollow Edge Santoku Knife is a Japanese all-purpose kitchen knife. 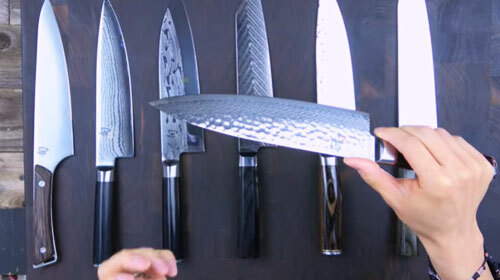 Like a chef's knife, the santoku is used for just about every cutting job in the kitchen. 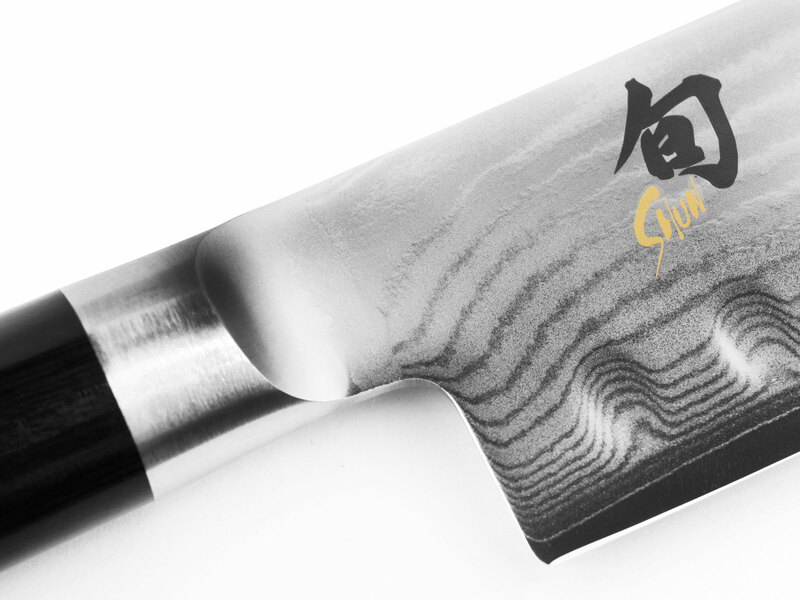 It works well with vegetables, proteins, and fruits when slicing, dicing, and chopping. 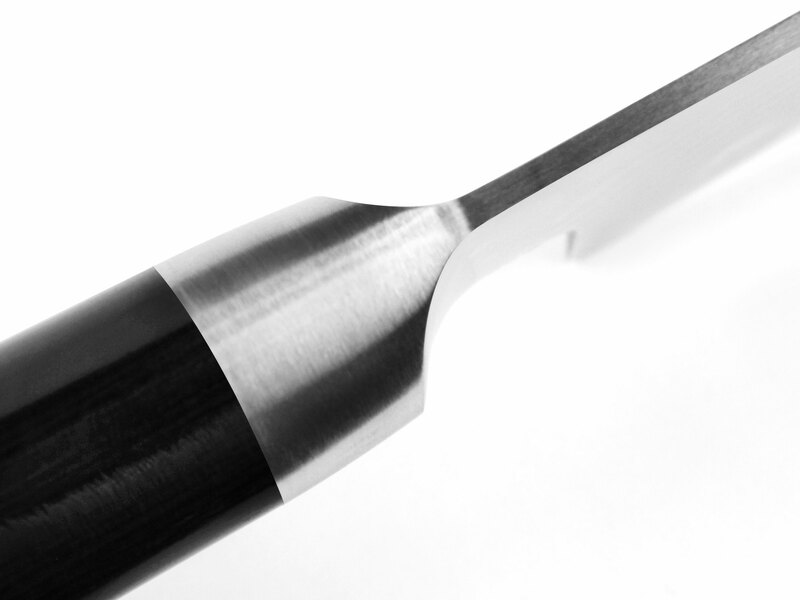 The hollow ground indentations on the blade help reduce friction so the blade glides through food more easily.